After being sent down to the Charlotte Knights in July, Carson Fulmer was moved to the bullpen after posting a 5.80 ERA across nine starts. The switch to relief hasn't helped as he has a 4.46 ERA over 22 2/3 innings out of the bullpen. It's been a brutal year for Fulmer, who can't seem to find his stuff at all. 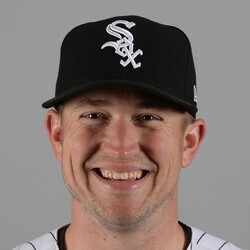 The White Sox appeared to have made the right move in sending him down, but they were hoping it'd help him improve. I can rattle off more numbers, but it's very discouraging. The only positive for him is that he's been a little better over his last four appearances, allowing two runs across 8 1/3 innings. Still he has a long way to go and shouldn't have fantasy relevance any time in the near (or distant) future.